The 2018 Formula 1 season ends this weekend with the 21st race of the season – the Abu Dhabi Grand Prix. The drivers and constructors titles have already been clinched by Lewis Hamilton and Mercedes. It will be Fernando Alonso’s final F1 race, Daniel Ricciardo’s last outing with Red Bull and Ferrari will bid farewell to Kimi Raikkonen. Much like this year, the title races had already come to a conclusion by the time F1 headed to the Yas Marina Circuit in 2017. 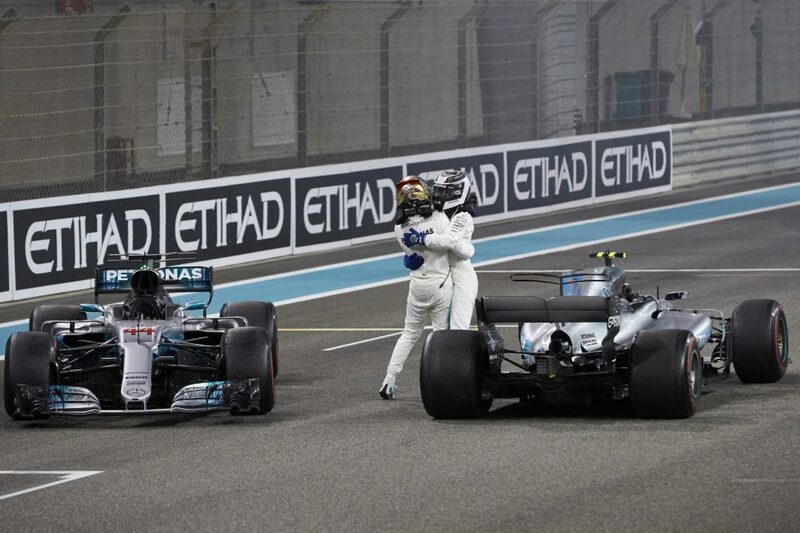 While Hamilton had been dominant for much of the season, it was Valtteri Bottas who ended the season on a high, converting pole position into race victory while leading throughout. Hamilton looked to challenge his teammate, but the Finn had enough in reserve to keep himself ahead of the champion, while Sebastian Vettel completed the top three. 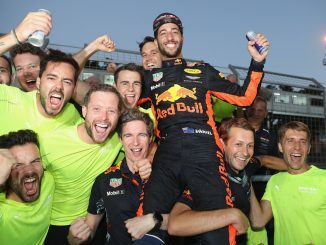 Daniel Ricciardo had looked to find his way onto the podium, but a hydraulics failure meant he was the first retirement of the race, which handed fourth place in the drivers’ championship to Raikkonen. Renault had mixed fortunes with Carlos Sainz’s race coming to an end when he was released from his pitstop with one of his wheels not correctly fitted, while Nico Hulkenberg was penalised for cutting a corner, dropping him down the order, but he recovered to help the team secure sixth in the constructors’ standings. Felipe Massa finished in 10th, securing a point on his final race before retiring from F1. After last year there were talks about making changes to the Yas Marina Circuit in a bid to increase overtaking opportunities, but F1’s bosses decided against the move, leaving the configuration of the track unchanged for 2018. However, the FIA has extended both DRS zones for this race, which could mean there’ll be more passing this time out. 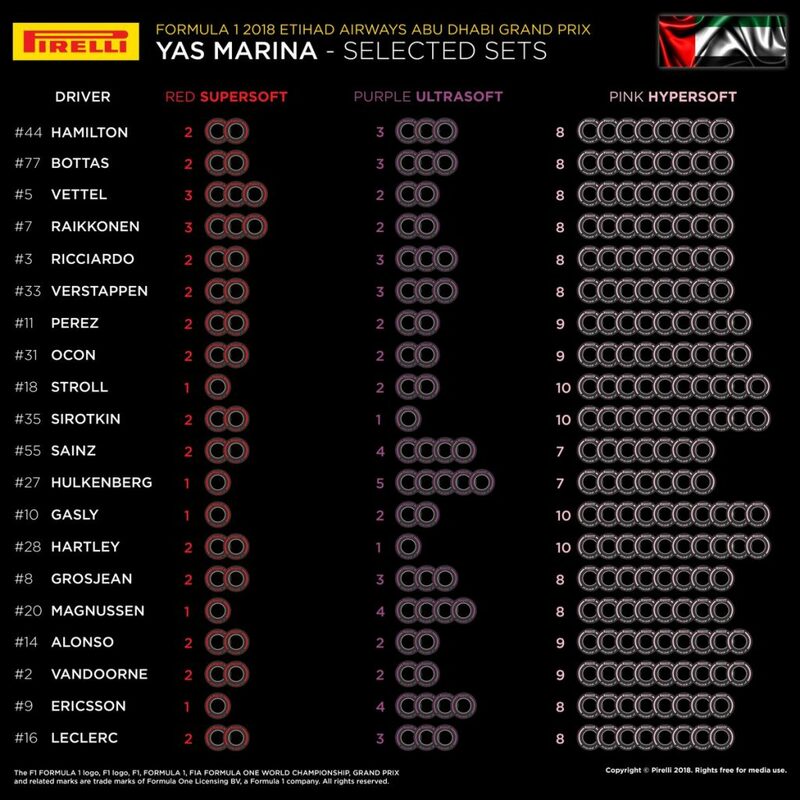 The hypersofts will have another outing at this race, with the pink-striped tyre joining the ultrasofts and supersofts in Abu Dhabi. It’s a change from last year, which saw the soft tyre in use. Most of the front runners have gone with a similar number of each compound, but there could be a mix of strategies further down the order as Toro Rosso and Williams have both opted for 10 sets of hypers, while Renault have fewer of the softest compound than any other team on the grid. For the majority of drivers, this race was a one-stopper last year, with the first 13 cars to cross the line each starting on the ultrasofts before finishing the race on the supers. Lance Stroll was the only driver to make more than one stop for fresh tyres, completing an astonishing three pitstops due to the Canadian struggling to get heat into his Pirellis. Unsurprisingly for a race set in the desert, it looks like it’s going to be dry all weekend at the Yas Marina. 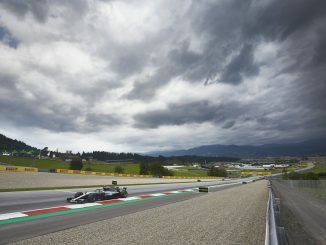 FP3 on Saturday could take place in slightly cloudy conditions, but otherwise it looks like it’ll be sunny throughout. 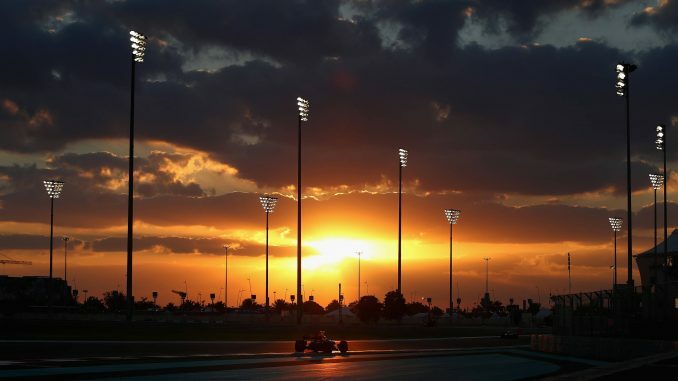 The race and qualifying do take place quite late in the day as the sun is setting, which means temperatures will be dropping, but with this being the 10th running of this race, the teams should be well used to that by now. Somewhat surprisingly, there are showers forecast on Monday. Unless that weather system arrives early, it doesn’t look like the weather will have much of a bearing on proceedings this weekend. No-one wants to finish the season early, so anyone with a questionable engine will probably rather take a penalty and have a reliable power unit than risk a retirement, and this could include Lewis Hamilton. 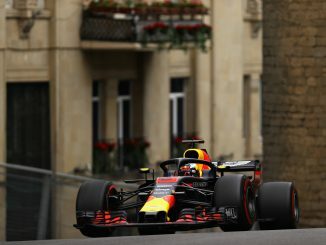 The champion is one of the few drivers not to have already taken a grid penalty for exceeding engine elements, but he’s used all of his allowed parts and was thought to be close to a failure in Brazil, which could see him take a new engine and subsequent grid drop this time out. It would probably suit Mercedes to see Valtteri Bottas on the top step of the podium at this race. The Finn started the season well, but was unlucky not to take a victory early on, particularly when suffering a puncture at the Azerbaijan Grand Prix, but his form since mid-season as been lacking, meaning he’s slotted into the unwanted role of wingman for much of the campaign. Bottas’s series of second places mean he’ll be the driver with the most runner-up spots in a single season without taking a win if he doesn’t seal victory this weekend – an honour he’d surely be keen to avoid. It will be an emotional weekend for a number of drivers. Fernando Alonso, Sergey Sirotkin, Marcus Ericsson, Stoffel Vandoorne and Brendon Hartley – quarter of the grid – could all be racing in F1 for the final time. Daniel Ricciardo will be leaving the brand that brought him in to F1 to join Renault, while Ferrari’s last champion – Kimi Raikkonen – departs the team for a second time. There’s already been one driver announcement this weekend, leaving just two seats unaccounted for on the 2019 grid, and it wouldn’t be a surprise to see further announcements over the next couple of days. Force India are still yet to formally announce Lance Stroll, even though his dad now owns the team, he won’t be staying at Williams next year and the team has said he’s likely to do the post-race tyre test for them, so confirmation of his switch wouldn’t be a shock. 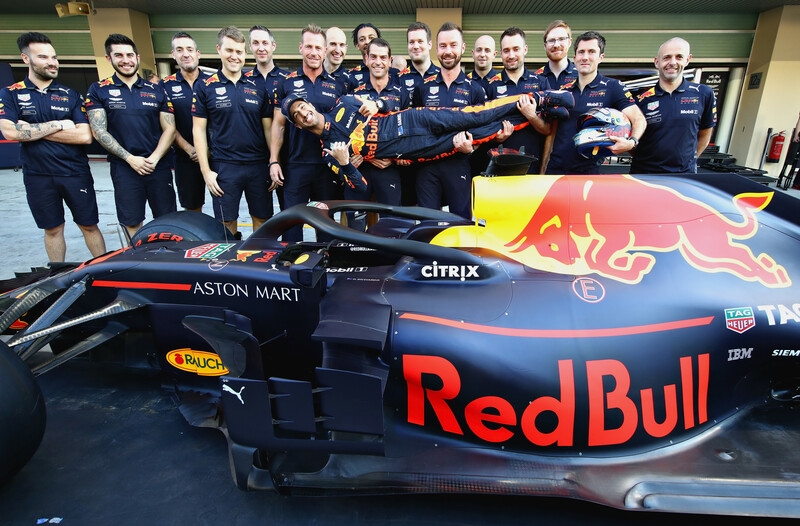 Toro Rosso are the only other team with one seat still unassigned for 2019. It’s expected F2 star and former Red Bull Junior Alexander Albon will join Daniil Kvyat in what’s becoming the team of second chances. He’s been linked with the drive for weeks just two years after being dropped from the Red Bull family, but a contract to drive in Formula E next season has slowed things down. Assuming Toro Rosso has managed to get him out of that deal, he’ll probably be announced this weekend too. It could be a tricky weekend for the Force India team. They’re due before the stewards ahead of FP1 after Haas lodged a protest against the team’s car. Although the full details haven’t been revealed, it’s been reported Haas don’t think Force India should be allowed to use the VJM11 chassis following they’re stint in administration over the summer, which resulted in the team being taken over by new owners. For more on this race, why not listen to this week’s podcast, and see who we think could be on the podium this weekend. We’ll have live blogs during qualifying and the race, and let us know what you think through Twitter and Facebook.